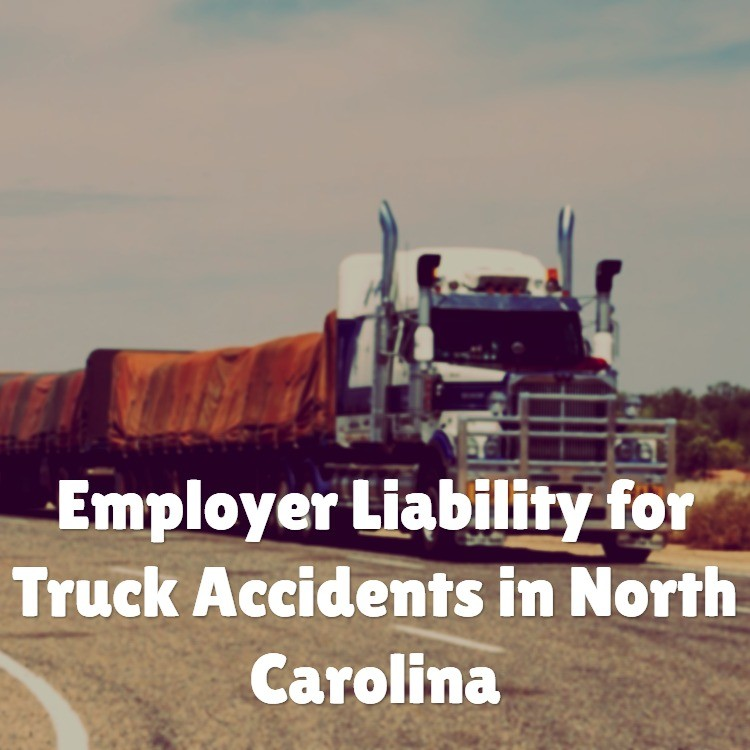 If you have been the victim of a truck accident in North Carolina, you may be able to seek compensation from the driver AND his employer through a legal doctrine called vicarious liability. Vicarious liability is a legal doctrine that allows an employer to be held liable for the actions of its employee. In the context of a truck accident, if a truck driver causes an accident with another driver, the trucking company can be held liable for the accident. However, vicarious liability only applies when an accident occurs while the employee is acting within the course of his or her employment – so, it wouldn’t apply if the truck driver took the truck home at night and brought it to the bar. The victim of a truck accident on the way home from the bar would not likely be able to hold the trucking company responsible. The benefit of vicarious liability in truck accident personal injury cases in North Carolina is that it bring the assets of the trucking company into play, as well as any potential umbrella liability policies over and above the underlying commercial vehicle insurance covering the truck. This means that if your injuries exceed the amount of the liability limits of the vehicle insurance policy, there is potentially more insurance and assets standing behind it – i.e., your injuries are much more likely to be covered in whole, rather than in part. Truck accidents are not easy to navigate on your own, and vicarious liability can be difficult to prove. It’s important to have an experienced personal injury lawyer working on your behalf to help you get the compensation you deserve after a truck accident. Contact us today to go over your legal options.